Now that Parliament is winding down business and the inmates are looking towards the upcoming General Election campaign, it is becoming less and less likely that the Tories will do the right thing and dispose with the services of Grant “Spiv” Shapps as party chairman, despite his suffering another less than successful interview experience this lunchtime, the latest car crash coming on the BBC Radio 4’s World At One. “Spiv” had it put to him that he had got the party’s lawyers to threaten a constituent for making what was, in effect, a factually correct statement, and causing him to issue in its place a form of words that was not true. 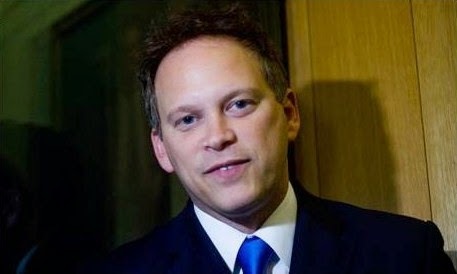 Shapps claimed in response that what Dean Archer “wrote was in fact wrong and defamatory – the issue was he said I hadn’t registered it and I had”. But that was not the end of the matter. That is because “This lunchtime Archer handed Shapps a legal letter demanding an apology”. Moreover, “When it was put to Shapps that there was no sign of any mention of his real name on hundreds of pages of the company websites, a spokesman for the Tory chairman did not repeat the claim that he had published his true identity on the firm’s main page”. It’s getting steadily worse, isn’t it? Archer had been forced to state that Shapps “openly published his full name alongside business publications”. It has now been demonstrated that, when it came to “Michael Green” and his online presence, he had not, as the serially tenacious Tim Ireland at Bloggerheads has demonstrated. Of the archives still extant, there is no sign of the name “Grant Shapps” alongside Michael Green - at all. Not a sausage. Bugger all. Archer was also persuaded to say of Shapps “he used a pen name merely to separate business and politics, prior to entering parliament”. But, as I pointed out the other day, “Spiv” was still carrying on calling himself Michael Green, and still peddling get-rich-quick solutions, FOUR YEARS after he was first returned to Parliament. It wasn’t, as he claimed today, a case of his having “mis-remembered”. The best a Tory Party “source” can manage in Shapps’ defence is “The party chairman was open and transparent about his interests in his family business, not least through declarations to parliament. In addition, he voluntarily offered information to his constituents online”. Which family business? If this is a reference to the printing company Shapps owned, that, as the “source” should know, is not the business under discussion. Shapps’ actions are bad enough. That the Tories are keeping him in post reflects increasingly badly on them. The web of spin and deceit is having to be woven yet tighter in order to cover the whoppers and the continuing release of information showing, for all those who did not know already, that The Chairman Is A Spiv. So now the Tories have six weeks during which the effectiveness of their chairman is hobbled by this story. They made this bed - now they can all lie on it. Like Shapps lied. He's not a jolly good fellow - he's a very naughty Shapp!